As the world continues to move towards a video led media environment, having a fast and reliable Elmedia media player on your device is very important. How else are you supposed to watch that video of your favorite actor doing wonders in a video? 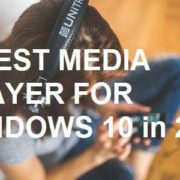 If anyone asks you about the best video players right now, the answer should come out of your mind as no surprise to find Eltima video player at the top of this list. Elmedia is way ahead of the competition; you don’t need to install anything else on your gadget. It comes in both free and paid version. To view High definition video, you need to have a good player that is fit enough to do your work. It is an easy to use multipurpose media player for Mac OS X. If you are exploring the web with your favorite internet browser on MAC, you can effortlessly import a link to Elmedia video player that allows you to open the video from your favorite browser into the best video player. It is capable of downloading some of the more difficult videos that other video importers cannot do or are unable to download. Elmedia player includes some extraordinary features such as the ability to adjust brightness, contrast, saturation, sharpness, noise. You can easily change the image layout or modify audio using custom or built-in presets with a graphic equalizer. Elmedia supports hardware acceleration for lightning-fast playback of High definition videos, and viewers can rotate, flip or change aspect ratio without skipping a frame.This is the best video player for all formats, It is powerful in its own right with most codec’s and plays the majority of audio files, Elmedia can support subtitles.